The Experts in Men's Clothing for 66 Years. We've been outfitting men for special occasions since 1953. Full service Tuxedo Rentals for you and your wedding party. Experts who have been fitting men in all sizes.. regular, big or tall for over 66 years. Hard-to-find accessories for men of all ages. From Father of the bride, to the ring bearer. 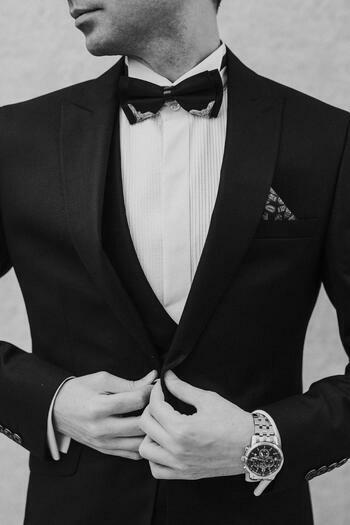 We carry hundreds of men's suits, blazers and sport coats for every style of wedding... casual or formal. We stock boys suits, shirts and ties. Our own tailor shop right on the premises. Alterations done right at the store. We carry suspenders, French cuffed shirts, cufflinks, pocket squares and hundreds of men's hats for the most eclectic tastes. 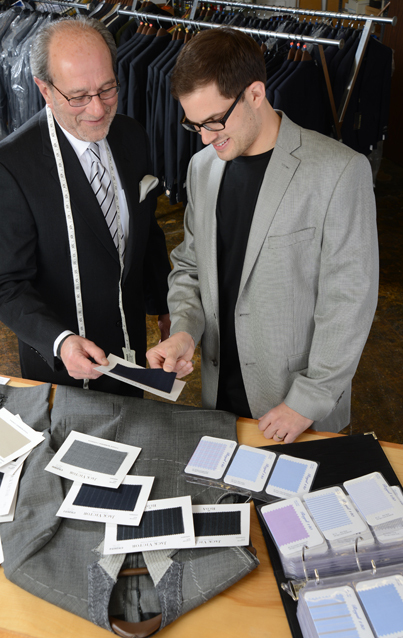 Personalized, expert service by men's clothing professionals who will get you in and out in no time. 3150 Erie Boulevard East, Dewitt. Our team consists of men's clothing experts. These are people who have made men's fashion their career. They know what they're doing and how to make sure you get the proper fit. At Charney's, we take the time to be sure you get the best value for your dollar and we also make sure that what you buy truly fits your needs. Use your time to do what you really want to do instead of running all over to find your size or to coordinate your wardrobe.